Kumail is a musician from Mumbai who has been experimenting with music that can be classified under the ambiguous label of electronic music. His music comes from a myriad of influences, particularly Jazz & Hip-Hop, while exploring the more ethereal regions of sound. the fundamental characteristics of his live performances. 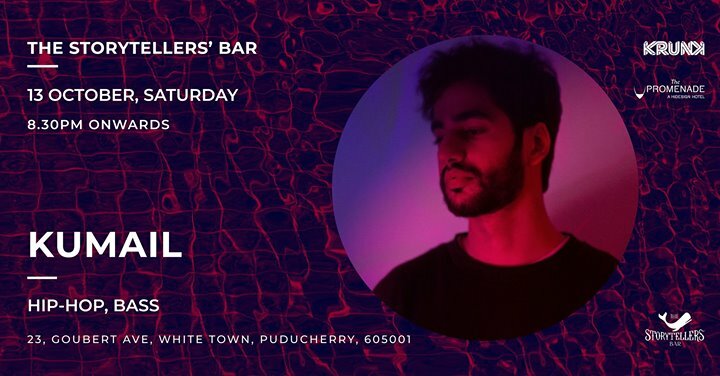 Kumail has played at India’s major festivals such as Magnetic Fields, Goat Festival Goa, Bass Camp Festival, Echoes of Earth Festival and more where he’s shared the stage with acts like Shigeto, Four Tet, DJ Koze, Teebs, Ratatat, Kutmah, Garden City Movement, Jordan Rakei, Om Unit & Eprom. Over the last two years he’s played India’s second edition of Boiler Room and has opened for Lapalux, FKJ, Emancipator & Khruangbin.